You can follow me on Twitter (@alfardm) or reach me via the form below. 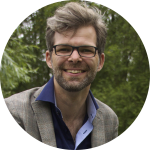 NOTE: want to know more about my work at Protestants Amsterdam? Please use the contact information that you find here or follow the Twitter account @PJA020.